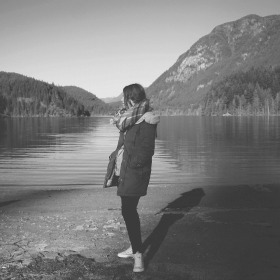 jessica thorburn: yippy for christmas! Christmas was totally wonderful around our place! It was a pretty quiet day with just my parents, brother and my grandma (we normally have 20+ family members for dinner). Simple, quiet and although many faces were greatly missed, it was a really really enjopyable time. Jeff and I are getting married!!! Jeff totally surprised me and casually popped the question while we opened presents with Finn. I started to cry and Finn had the biggest grin on his face when i showed him what I got. The ring is amazing! I am not really a conventional diamond girl, and found this ring a long time ago on etsy and somehow Jeff remembered- It is a raw herkimer diamond with big prongs wrapped around it- It also has a little heart on the back of the prong setting that is my favourite part of the ring. Needless to say, I am REALLY excited, our families are really excited and I think Jeff is really excited! Before Finn, I never thought I wanted or cared to get married, but as our friend Carli so sweetly put it, getting married after kids was more of a celebration of "look what we've become" rather than "whats up ahead". A marriage of our family, which I very much look forward to. 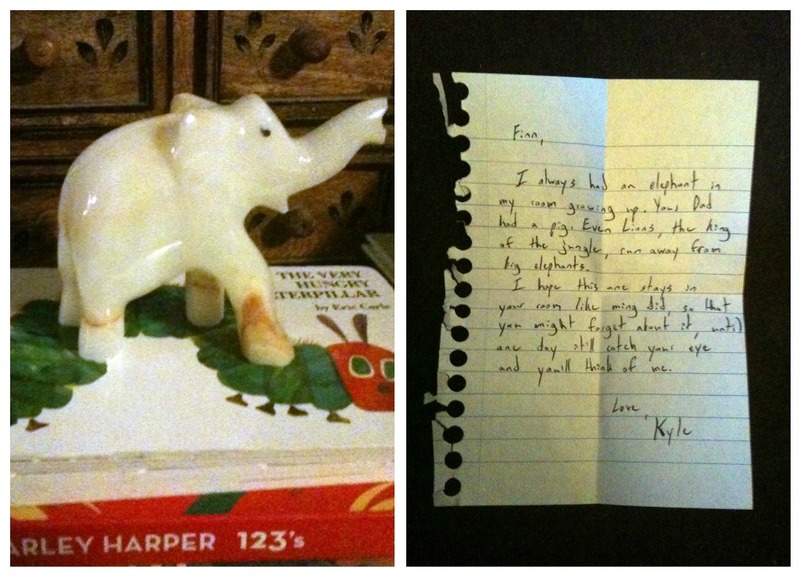 Jeff's, brother Kyle, sent Finn a beautiful elephant carved from quartz rock and a really sweet letter. Kyle always had an elephant in his room growing up and hoped this was something Finn would keep and when he saw it, he could think of his Uncle Kyle. My brother Nathan, gave Finn too many presents this year, but the sweetest one was a jar filled with all the change from his pockets from the last year. It's a significant amount of money I'm sure, but it was so thoughtful of him to decide that Finn should have it to do whatever we feel is best.